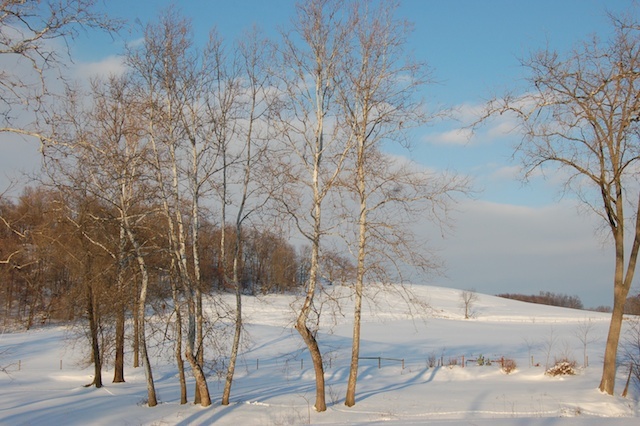 Snowy scene in Holmes County, Ohio. Weather is one of my favorite hobbies. Living in Ohio’s Amish Country affords me plenty of climatological variety to enjoy. That is especially true in the winter. We never know what winter will bring here when it comes to weather. It could be mild. It could be cold. It could be dry. We could be buried in snow. And all of those scenarios could happen in the same winter season. I especially like an occasional heavy snow. I love the beauty, the peacefulness, the serenity an abundant snowfall brings. The landscape comes alive, green pine boughs heavy laden with a snowy burden, fire engine red Cardinals searching for seeds, chestnut horses romping in the white, fluffy playground, children bundled up to build snowmen. 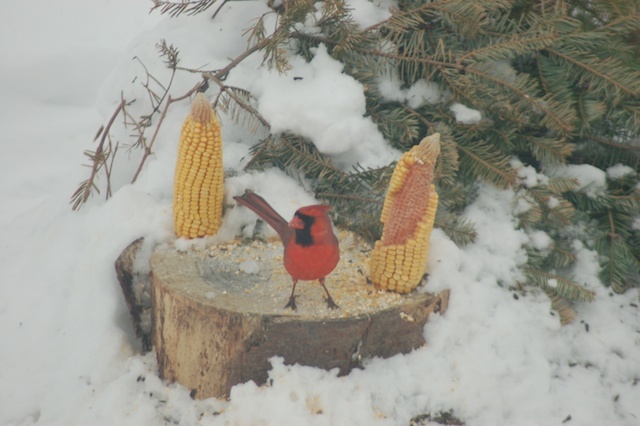 A male cardinal at an ear corn feeder. Of course, such a snow causes headaches for travel and unwanted expenses for municipalities expected to clean every last flake from the roadways. Tow truck drivers, on the other hand, revel in the bounty of pulling vehicle after vehicle out of ditches. For my part, the good far outweighs the bad when it comes to snow. I can’t say the same thing about an ice storm, however. Our most recent experience with a widespread ice event is example enough. Ice-coated trees crashed onto power lines and highways. I both pitied and admired the road and utility workers who braved the dangerous elements trying to restore order out of the icy chaos. Stores lost valuable business. Schools altered schedules, academic and extracurricular alike. People who lost power and didn’t have access to a generator had to wait it out, sometimes for days. The ice storm clogged roads and gutters alike. Eventually, though, some good managed to find its way through the gloom and dismay of the ubiquitous ice. Ice-coated branches sparkled, even from nighttime’s artificial light. Even the light from a thin creasent moon reflected off of the icy landscape. But often it takes us awhile to see the glimmering light of an ice storm. The most obvious benefits came in the first light of day. Once the clouds diminished, the low angled rays of sunrise and later sunsets ricocheted across the icy landscape. 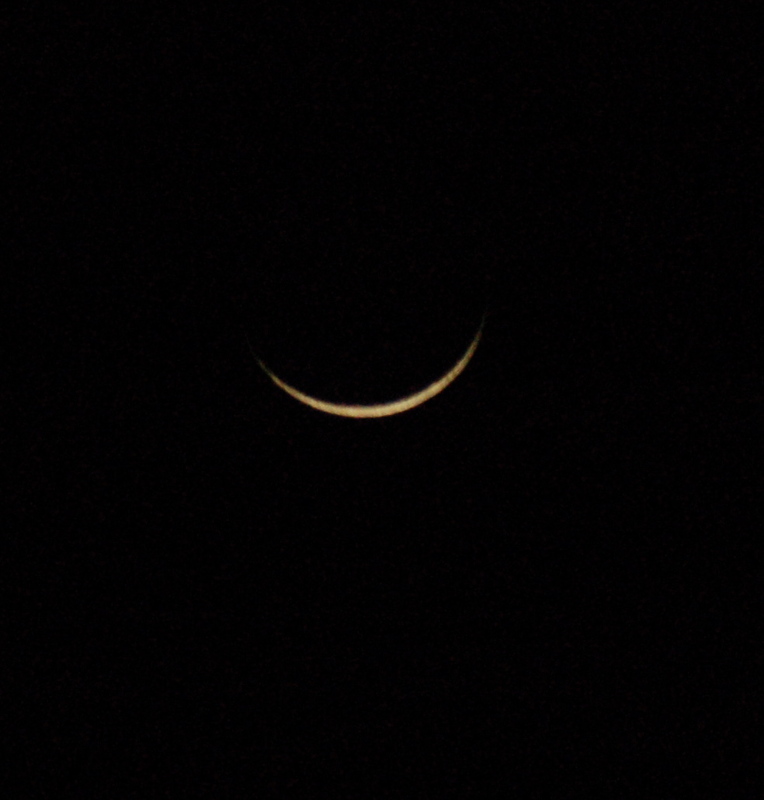 Even the light of a thin crescent moon slid its tiny light across the shiny, slippery iced-over acres of fallow fields. The light came in other natural forms, too. A kind neighbor sauntered over to sprinkle calcium on the inch thick, hard blanket of ice that covered the walk and parking pad. After a few minutes, he began chipping the icy glaze just because it needed to be done. I joined him, and a congenial conversation brightened the otherwise dull day. A township resident called to say that he and his neighbors had cleaned up the downed tree limbs save the one they couldn’t reach that still dangled above the roadway. The lone highway worker would not have to clear that section of the road of debris thanks to their thoughtfulness and commitment to doing the obvious for safety sake. Why wait on paid personnel when a volunteer effort gets the job done just as well? 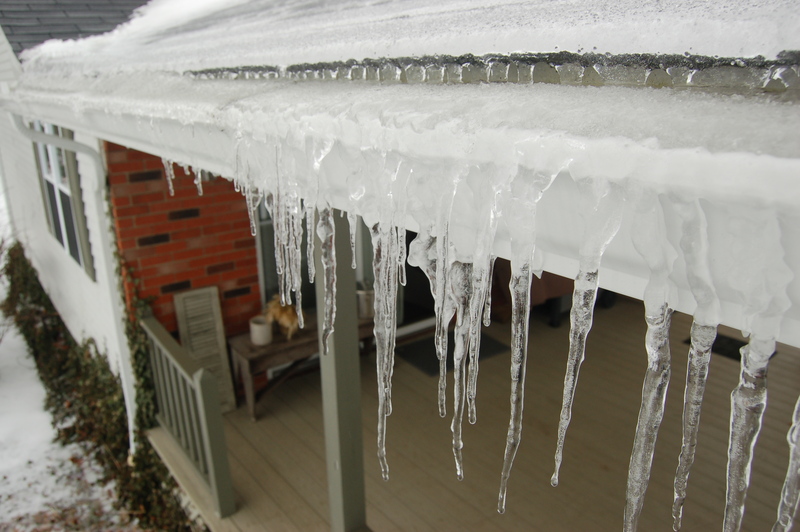 As we saw again last week, an ice storm can be devastating. Urban and rural commerce and individual residents alike suffer the cold consequences. Conversely, an ice storm can also be a bright ray of sunshine in an otherwise dismal winter. I enjoyed the enhanced scenery and the visit of the friendly neighbor. However, having experienced this most recent icy incident and the one in late 2004, the next one can wait awhile as far as I’m concerned. That weather is a bit too extreme, even for me.